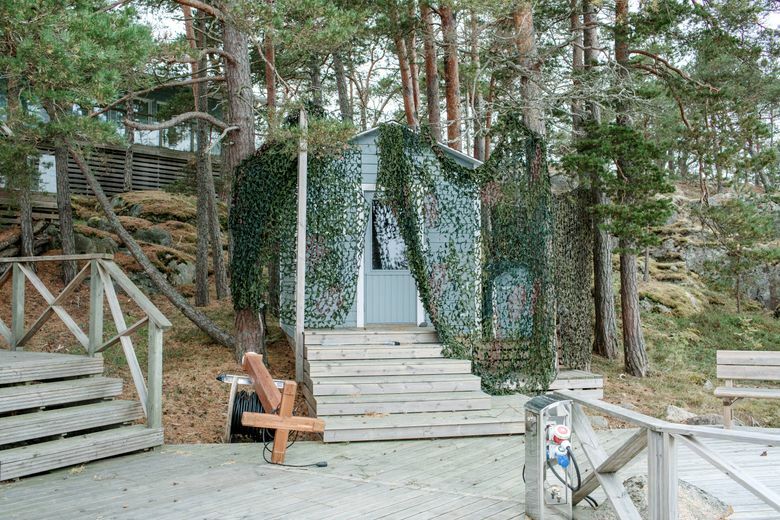 SAKKILUOTO, Finland — Leo Gastgivar, who retired to a tiny island in an archipelago between Finland and Sweden, awoke one morning to visit the outhouse in his bathrobe, only to notice two black speedboats packed with Finnish commandos in camouflage fatigues waiting in the bay near his front door. After an exchange of awkward greetings, Gastgivar went inside, collected his binoculars and watched as the commandos raced off toward the island of his nearest neighbor, a mysterious Russian businessman he had never met or even seen. The island, Sakkiluoto, belongs to Pavel Melnikov, 54, a Russian from St. Petersburg, who has dotted the property with security cameras, motion detectors and no-trespassing signs emblazoned with the picture of a fearsome-looking guard in a black balaclava. The island also has nine piers, a helipad, a swimming pool draped in camouflage netting and enough housing — all of it equipped with satellite dishes — to accommodate a small army. But few are convinced. More than 400 Finnish police officers and military personnel swooped down on Sakkiluoto and 16 other properties in western Finland linked to Russia. Helicopters and a surveillance plane provided support. The airspace over the region was closed to all craft not involved in the security operation. When Prime Minister Dmitry Medvedev of Russia visited Helsinki, Finland’s capital, a few days after the raid, he scoffed when asked at a news conference if Russia had been preparing landing zones for military helicopters on Finnish islands. Yet the problem for Russia, and now for Finland, is credibility. Russia has denied so many strange and sinister things that have turned out to be true — or at least far more plausible than the Kremlin’s often-risible counter stories — that even the most seemingly far-fetched speculation about Russian mischief tends to acquire traction. One former member of the Finnish Parliament, who once served as a border-guard officer, has claimed, without evidence, that Russia had plans to build docks to service its submarines. One theory popular on social media is that the raided islands — which lie near Finnish military installations and important Baltic Sea shipping lanes — were part of an undercover operation by Russia’s military intelligence service, the GU, formerly known as the GRU. Gastgivar, for one, has long thought something curious was going on at his Russian neighbor’s island. Finland, anchored firmly in the West but wary of antagonizing Russia, has a long-standing policy of not raising issues, at least in public, that might create friction with Russia, with which it shares an 830-mile-long border. This approach, however, has come under strain from Russia’s increasing assertiveness. Finland, though not a member of NATO, risked Russian ire this week by sending troops to Norway to join U.S. forces taking part in Trident Juncture, the military alliance’s largest military exercise since the end of the Cold War in 1991. The biggest group of foreign property owners is from Russia, including people close to President Vladimir Putin. Two people were taken into custody after the raids — an Estonian of Russian descent and a Russian — and officers seized a stash of cash in multiple currencies, including 3 million euros (about $3.5 million). Also seized were computer discs and flash drives containing more than 100 terabytes of data, more than 50 times the estimated size of the entire print collection of the Library of Congress. All the targeted properties were linked to Melnikov, the Russian owner of Sakkiluoto island, and a company he helped set up in 2007 called Airiston Helmi. The company has repeatedly reshuffled its board of directors and ownership, with the identity of its real owners disappearing behind opaque shell companies registered in the British Virgin Islands and other tax havens. It is now headed, at least on paper, by an Italian, who says he took the position as a favor to a businessman he knows from Russia. It is unclear who Melnikov is. A man with the same name and birth date appears in Russian corporate and other records as the owner of six companies in Russia, including a well-known manufacturer of plumbing equipment, and as the holder of several patents related to plumbing. That man, now back in Russia at an office in St. Petersburg, declined to comment on what his assistant called “private” matters in Finland. While investing in Finland, Melnikov operated under different guises. Annual corporate filings variously identify him as Russian, Latvian and Maltese. Finnish news outlets report he also has residency in Hungary and passports from three tiny Caribbean nations that, like Malta, sell citizenship. 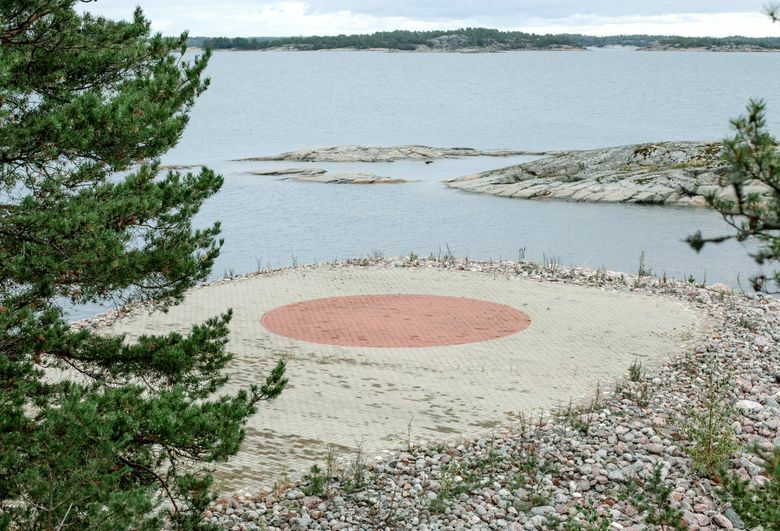 Kaj Karlsson, a Finnish contractor who supervised much of the construction on Sakkiluoto, said he could never work out what Melnikov was up to, especially after he started building new piers and installed a network of security cameras on an island with no people or crime. “Usually an island has two piers, but how do you explain nine? It makes no sense,” Karlsson said. Melnikov, he added, “always made a good impression and seemed legitimate,” but never seemed very interested in getting a return on his investment. Patrik Nygren, the mayor of Parainen, the archipelago’s administrative center, said he received no advance notice and was out picking mushrooms with his family when the raids happened. The scale of the operation struck him as strange; Melnikov sometimes skirted building codes — like when he installed the helipad — but was never threatening, the mayor said. Airiston Helmi’s seafront headquarters on the mainland has a helipad and multiple surveillance cameras like Melnikov’s island, and a decommissioned military landing craft that has been converted into a sauna and three other vessels. Standing guard next to the main entrance of the company’s office is a fashion mannequin dressed in military fatigues with a cracked plastic head.